This integration helps you export reviews from App Store, Google Play or Windows Store into your Trello board in real time. Open Trello board where you would like to receive app reviews. 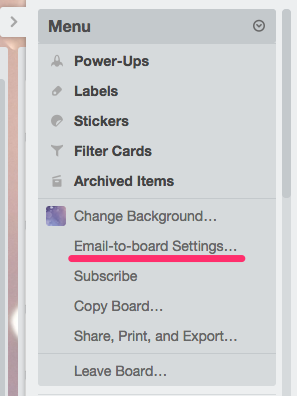 Then look at the Menu in the right sidebar and select "Email-to-board Settings". In the opened window you will see Trello Email address. This address is the one you need to copy. 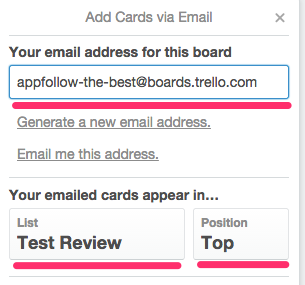 You can also select List and Position where your email cards will appear. 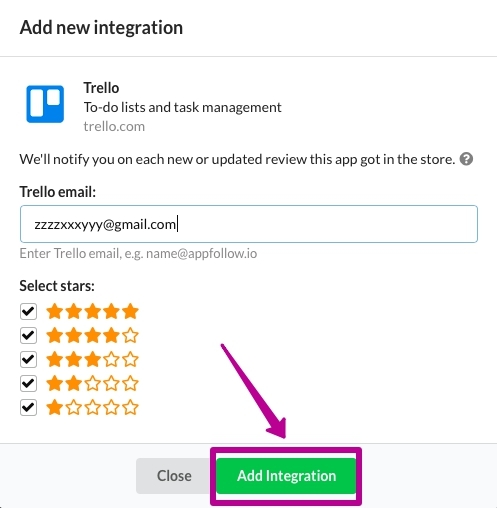 Then go to Integration setting and add this email to Trello integration. 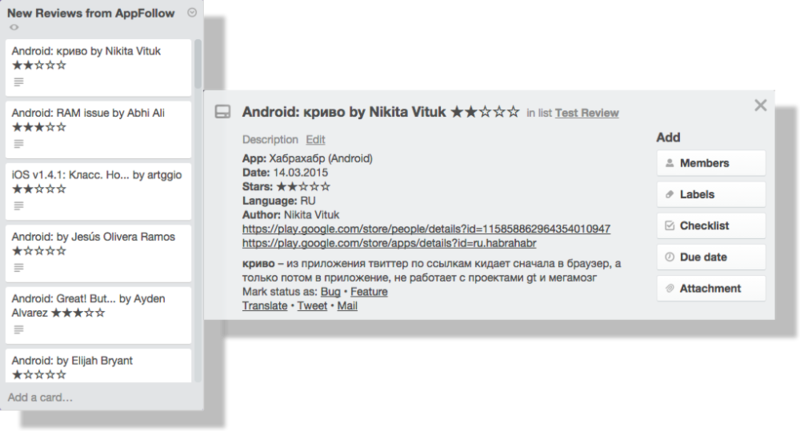 In case you wish to receive only reviews that got a particular amount of starts, you can filter them with "All" and "Stars" parameters. Then by pressing the button "Stars" you can choose a number from 1 to 5. For example, if you wish that your support team gets only negative reviews, you can choose "is less than" and "3".